The vessel is a very nice condition for a 40 year old boat. The brightwork is very nice and is mostly covered by custom canvas. The interior is compact yet spacious and in good shape. The head is under the forward V- berth to port, http://bluewaterboats.org/aquarius-pilot-cutter-24/ layout is standard interior a Stock #163968 BEAUTIFULLY MAINTAINED!!!! EASILY DRIVEN HULL, PERFECT WINDWARD PERFORMANCE!!!! 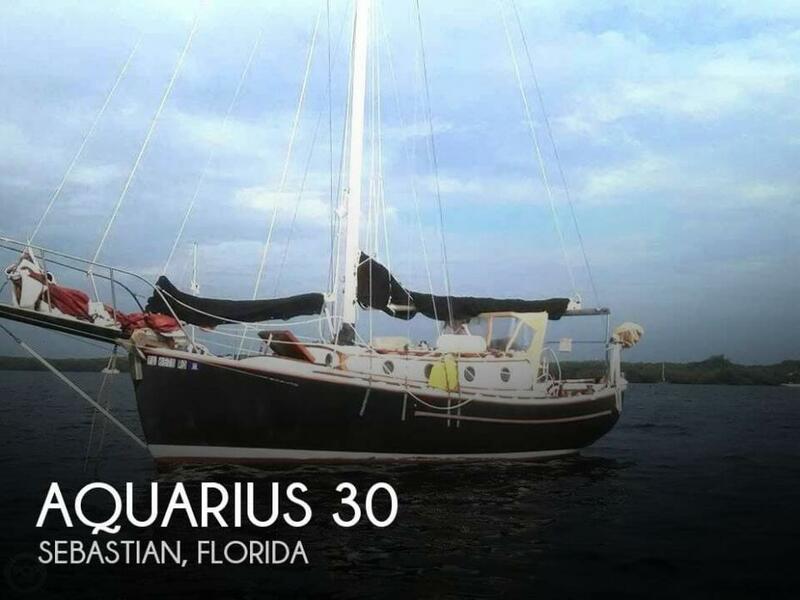 If you are in the market for a cutter, look no further than this 1979 Aquarius Pilot Cutter 24, just reduced to $14,500 (offers encouraged). 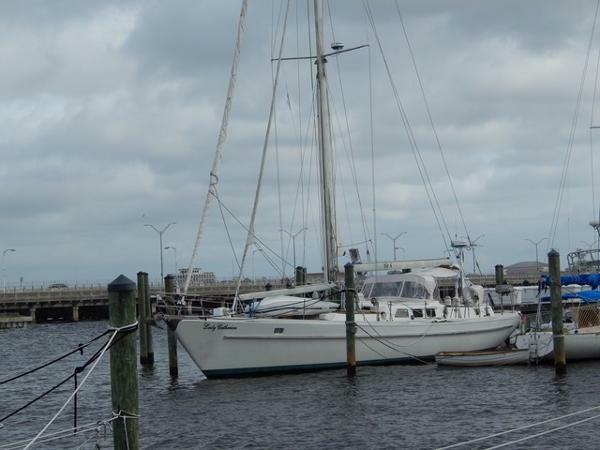 This sailboat is located in Micco, Florida and is in good condition. She is also equipped with a Yanmar engine that has 1,027 hours. Reason for selling is no longer using. 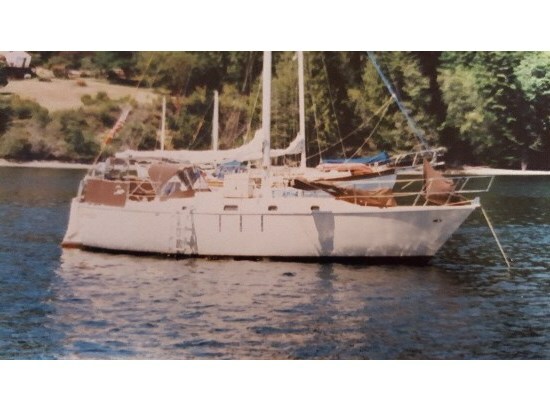 This 1979 Westsail is in very good condition. -Topsides Awlgripped in 2013 -Fresh bottom paint -New Beta 35 Diesel engine -New Transmission -New Shaft and Prop According to the seller, everything is in good working condition. Stock #146991 "Sea Glass" is the custom "shipmaster" version of the Westsail 32 featured as the display yacht at the 1979 Boston Boat Show If you are in the market for a cutter, look no further than this 1979 Westsail 32, just reduced to $35,000 (offers encouraged). 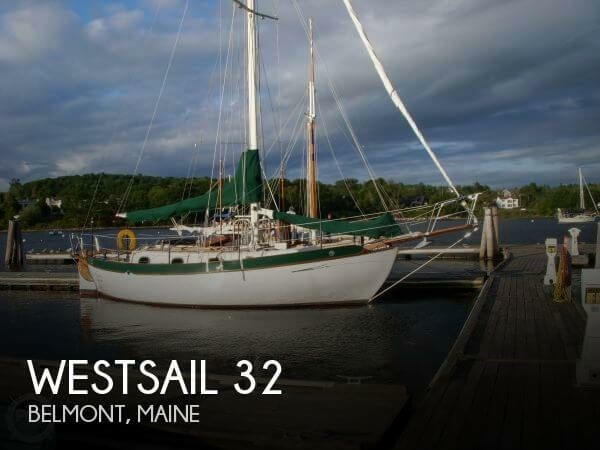 This vessel is located in Belmont, Maine and is in good condition. She is also equipped with a Beta engine that has only 25 hours. Reason for selling is no longer using...health reasons. The hull has some splotches that are being protected with undercoating. The exterior teak is well oiled and the compartment covers are varnished. The seller disclosed no known defects with the engine. Stock #162860 46' Custom Cutter powered by 38.5 h.p. Kubota diesel, well maintained wooden heavy cruiser w/ show boat possibilities to the right owner! 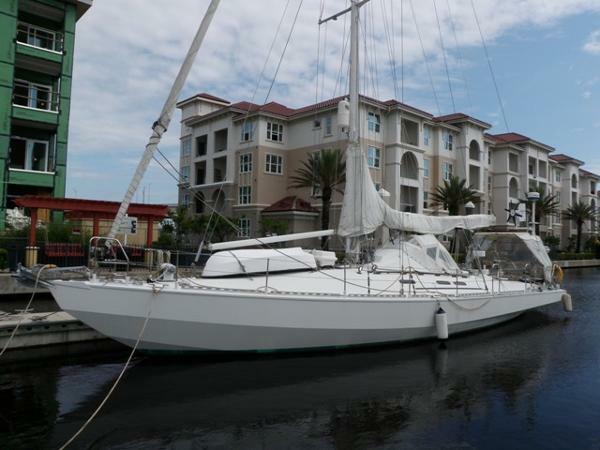 If you are in the market for a cutter, look no further than this 1971 Ingrid 38, priced right at $44,500 (offers encouraged). This vessel is located in Astoria, Oregon and is in great condition. She is also equipped with a Kubota engine that has 5,000 hours. Reason for selling is health. 1987 Custom Cutter Started in 1987; completed and launched in 2004. Approx. 200 hours, new toilet, new batteries. Unusual layout, aft cockpit with ample room in interior includes aft stateroom. The forward v-berth stateroom is quite large, just aft is the head/shower. Seating in the salon and also a table with seating. Galley is rear salon starboard side, entry to master is aft port side. Exterior: Cutter rig with stern cockpit. Hull; faceted displacement type with fin keel and rudder, raked stern, whale-back sheer and reversed transom stern. Dock; flush main deck from bow to stern, recessed cockpit amidships and at stern, low profile trunk cabin style with a great deck area. This beautiful blue water cutter is ready for new adventures. Sellers are getting older and can no longer enjoy her as they'd like. They are motivated to see her in the hands of new owners who will love and appreciate her as much as they have! Stock #099405 A Classic! If you are in the market for a cutter, look no further than this 1976 Custom 35, just reduced to $34,900 (offers encouraged). 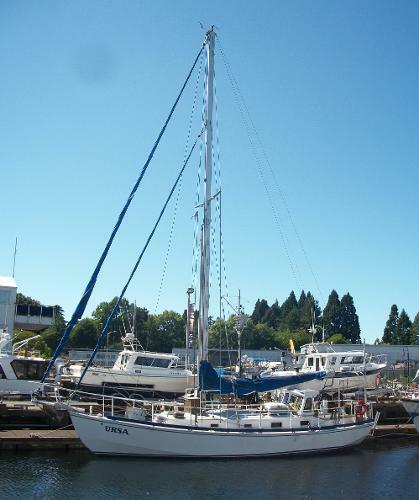 This vessel is located in Canby, Oregon and is in good condition. She is also equipped with a Kubota engine that has only 200 hours. Reason for selling is getting older and want new owners to enjoy!. 1987 Custom 48 Cutter Started in 1987; completed and launched in 2004. Approx. 200 hours, new toilet, new batteries. Unusual layout, aft cockpit with ample room in interior includes aft stateroom. The forward v-berth stateroom is quite large, just aft is the head/shower. Seating in the salon and also a table with seating. Galley is rear salon starboard side, entry to master is aft port side. Exterior: Cutter rig with stern cockpit. Hull; faceted displacement type with fin keel and rudder, raked stern, whale-back sheer and reversed transom stern. Dock; flush main deck from bow to stern, recessed cockpit amidships and at stern, low profile trunk cabin style with a great deck area. 1978 Custom 36 Cutter Unique Character Boat, 43' overall, launched in October of 1980 You will never see another boat like this! Lovingly cared for by a knowledgeable owner, pride of ownership is evident throughout this vessel. Come and view the quality for yourself. "Elation" is a heavily built full keel cutter owned by the same loving family since her initial launch in 1980. Between 2005 and 2010 over $125K was spent on a total rebuild including a new deck, re-bonding of bulkheads, mast rebuild with new running and standing rigging, new engine, new electronics,new steering, etc. ELATION is a boat which never fails to elicit a rave comment from anyone who sees her within ear shot! She has won 14 Newport Beach Christmas Boat Parade awards (Twice Sweepstakes winner) and six Independence Day Parade awards (three top prizes). She's a boat one can be proud to own and enjoy as a family retreat. 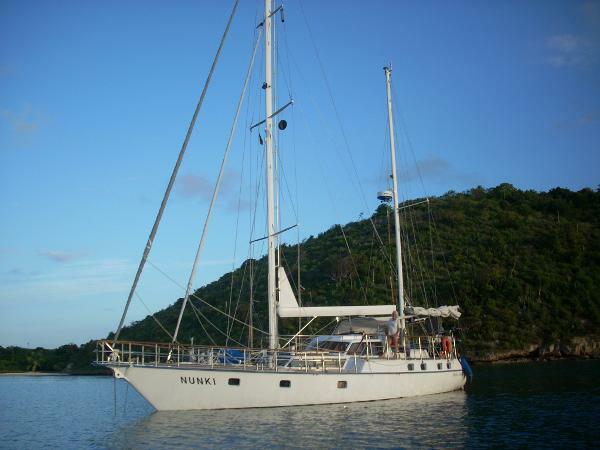 A beautiful boat with great character, she is capable of world cruising and ready to go. 1989 Custom Center Cockpit Cutter, Purchase from the owner and the price will drop $50,000===Robert Perry Designed Custom Aluminum 46 foot Center Cockpit Cutter the plans were based on Perrys Norseman 447 with substantial improvements. 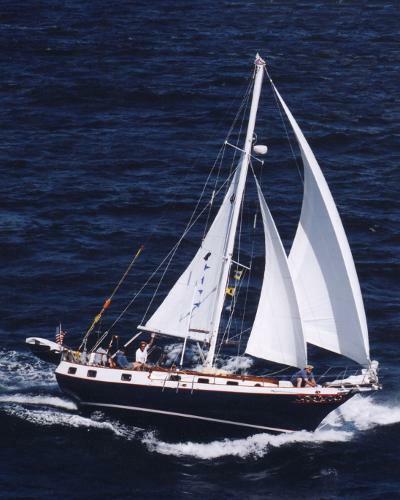 She won the Best New Metal Sailboat award in 1990 from the Metal Boat Show. 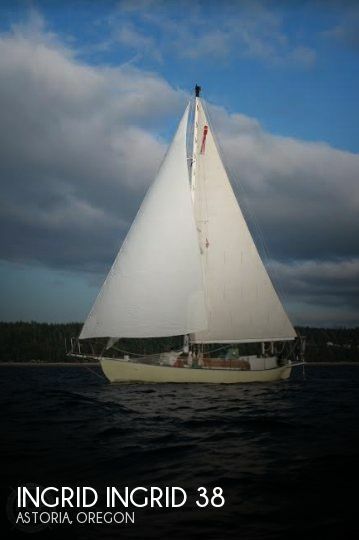 She may quite possibly be the best 46 foot sailboat on Puget Sound. This boat is very strong and light for its size and performs like the high end vessel she is.The hull is epoxy-coated 5086 marine grade aluminum, with an Awlgrip finish - a grinder is needed to get down to bare aluminum. Semi-flat bottom with a moderate free board, and a flat bow line so she tracks through waves without affecting the course - this boat "tracks like a Swan". With an over-sized skeg-hung rudder the boat will do a 360 in two boat lengths. Robert Perry himself called this "one of the finest fabrication assembly jobs I've ever seen". The fabrication work is so clean the boat looks like fiberglass popped out of a mold.This yacht has one of the lightest and brightest interiors around. Very cheery for those gray NW days. $225000 ($175k if bought from the owner). Please contact for a detailed description. 1983 Custom Ted Brewer Cutter Price Reduced!! $49,900.00 This is a custom-built steel cutter, designed byTed Brewer.LOA: 45' / Beam: 12' / Draft: 5' 4" / Gross Tonnage: 17Powered by a 30hp Yanmar 3GM30 / 2,066 hrs Electronics include: GPS, Radar, Depthsounder, VHF, SSB, Autopilot Features include: Solar panels, wind vane steering, Furlex roller furling (jib and staysail), hydraulic anchor windlass, mast steps, life raft. Recent standing re-rig (Sta Lok terminals, SS Hassleforth turnbuckles). Full galley: LPG stove/oven, fridge/frzr (counter sunk), double sink. Enclosed head w/ shower / on demand water heater. V-berth cabin and two single quarter berths. Description: This boat is not a "yacht". 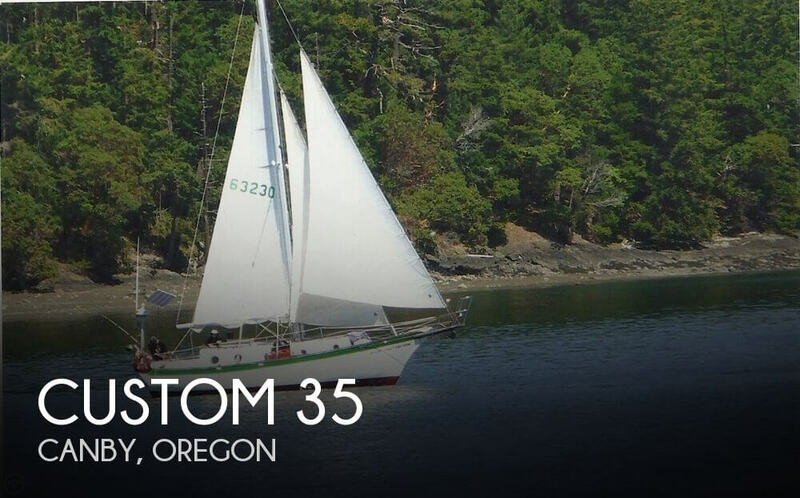 It is a rugged, seaworthy, serious cruiser that was custom designed by world renowned Ted Brewer, and professionally built for making long distance ocean passages, and making them safely. It needs some work, but if your dream is to get far, far away from it all, this boat is worth looking at. 1985 Pedrick Cutter 61 Lady Catherine1985 61' Pedrick Custom Cutter designed by Sparkman & Stevens that is ready for bluewater adventuresHand crafted and built by the prestigious Narragansett Shipwrights in Rhode Island, USAOwners salon and two guest cabins make spacious and comfortable accommodations for you and your companions/crew"Lady Catherine" can easily be singlehanded with her rigging design. Electronic winches, NavTech boom vang and backstay adjustments, stowaway mast, roller furling headsail, self tending club sail all contribute to the ease of handling from the comfortable spcaious center cockpitOversized and easily accessible walk in engine room with a reliable Perkins M265TI inboard that was repowered in 2002, now with 5900 hoursNorthern Lights 12KW genset (2000) serviced 2016 with 5800 hours. She is outfitted with both a 110V AC and 12V DC electrical systemsExtensive navigation electronics that will safety guide you on any voyage. Never be out of touch with the Tracphone Satellite with 2 phonesPrepare a gourmet meal from the large U shaped galley. 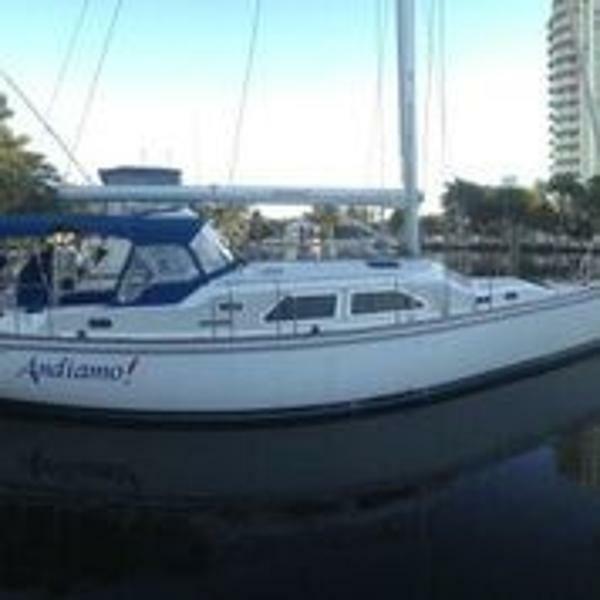 Large freezer and 2 refrigerators designed for extensive cruisingIf you are looking for an extremely well built offshore cruiser/racer, live aboard or just to go gunkholing, "Lady Catherine" is a must see value at $168,000. Please take the time to review the extensive equipment and systems on this listing. Additional photos are available on request. Currently, there is nothing on the market around 61' that comes close to the build quality, durability and ease of handling this yacht provides. With some TLC, cosmetic attention and new running rigging she is ready for bluewater sailing or to be just the prettiest lady in the harbor! 1986 Endurance Custom Cutter Truly a boat like no other. DeKleer-built hull with professional-grade fully customized finishing by a professional marine builder. Specialty features throughout, including extra solid hull-deck joint, raised cockpit sole, many interior and on-deck features for comfort and practicality. New standing rigging with Flemish swages. Specialty woods used for the interior, extra thick insulation in refrigeration, custom galley storage. Light, airy and nicely ventilated below decks. Custom roller furling. Full electronics (depth sounder brand new! ), solar panels, watermaker, wind steering. 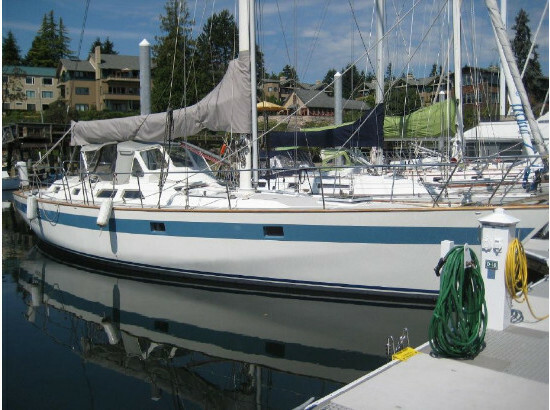 Sellers LOVINGLY built her over 7 years....now you get to continue to sail her! They're on to their next building project and have included the full build history, plans and photos. Full specs coming soon....in the meantime, have a look at these pictures....Email or call me for a copy of her survey which has just been completed. 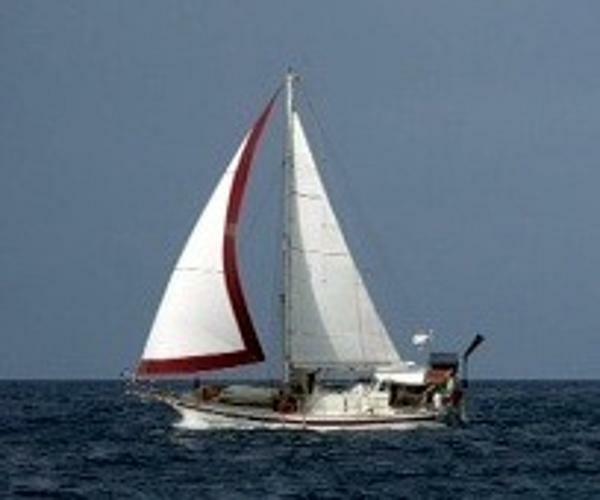 2006 Custom-Made Cruising Cutter This vessel is a great ocean going cruising yacht. She is exceptional in almost all areas. The attention to detail, quality of build and standard of equipping in terms of reliability and safety are close to unique. Clearly the owners experience and knowledge as a professional seamen and engineer are the major factors distinguishing this custom built yacht.